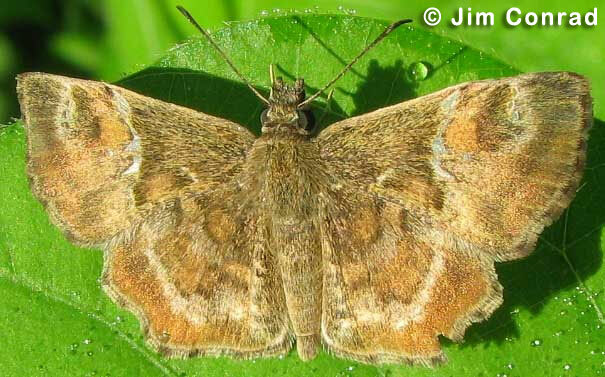 Identification: Outer margin of hindwing has 2 deep indentations. 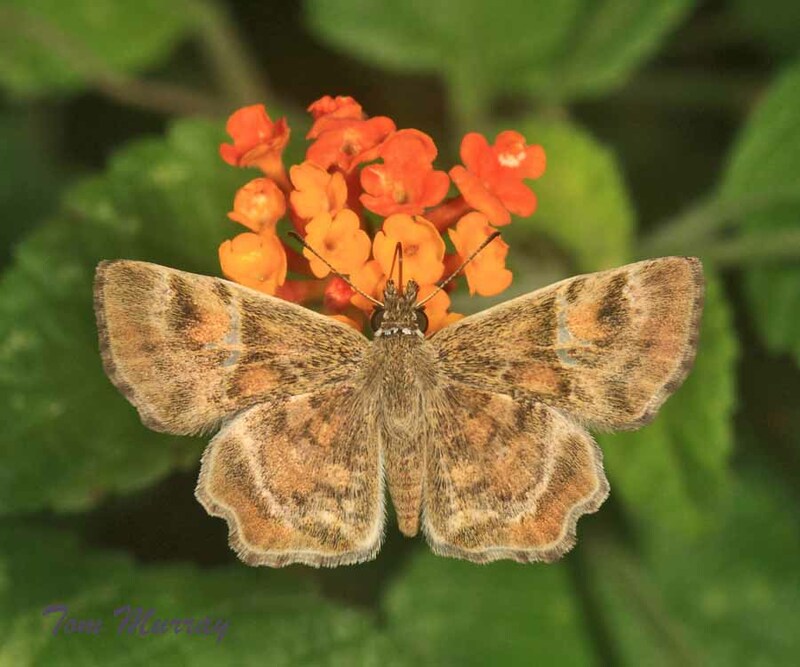 Upperside is orange-brown with darker olive-brown areas; forewing has a median band of transparent spots all in a row. Wing Span: 15/16 - 1 3/8 inches (2.4 - 3.5 cm). Life History: To seek females, males perch in gulches. Females deposit eggs singly on the host plant. Caterpillars feed on leaves and live in folded-leaf nests; fully-grown caterpillars hibernate. Flight: February-December in South Texas. Caterpillar Hosts: Various plants in the mallow family (Malvaceae). Habitat: Openings in thorn forest and scrub, parks, near rivers. Range: South and west Texas south through Mexico to Guatemala.